Abstract: Airwheel Q5 is a newly released model by Airwheel Technology. Apart the multiple functions inherited from Q-series, Airwheel Q5 has an upgraded chip and improved chassis. Also it's more powerful, which enables you to travel for a longer distance. As electric unicycle becomes more and more popular around the world, there emerged a number of brands on the electric unicycle market of which the quality varies. Among these varying brands, Airwheel obviously excels as the favorite with its marvelous maneuverability and stylish design. As the latest model in Airwheel family, the Airwheel Q5 electric scooter is adored by Airwheel fans with its upgraded motherboard and extended color option. 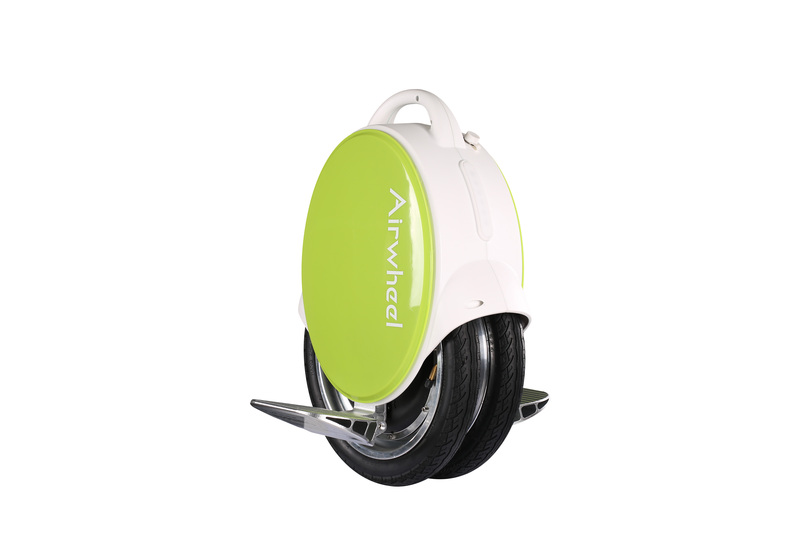 The twin-wheeled Airwheel Q5 has an upgraded chip and the chassis is redesigned being more streamlined. Airwheel Q5 self balance electric scooter retains a quite adorable look. There are resilient leg pads on both sides of the vehicle, which protect rider's calves from getting hurt. The polymer nano-plastic casing has great durability and is hard to break. Good design coupled with high-tech casing materials makes Airwheel Q5 an optimal choice for self-balance scooter lovers and gadget freeks. Apart from the excellent casing, the interior parts of Airwheel also boast of top-notch technology. The Q5 model is powered by a Japan-made Li-ion battery which enables you to travel for an average of six to seven miles foe a single charge. The battery can be recharged for over 1800 times. Highly re-chargeable as it is, the battery used by Airwheel is extremely reliable and can guarantee your safety. You never have to worry about it getting on fire or explosion as some inferior batteries prevalently used in the personal transport market. The Airwheel Q5 is unique in steering style. You can drive it hands-free and control your direction and speed only by body inclination. Airwheel Q5 self balance electric unicycle is an ordained best-seller since its debut, thanks to its stylish design and preeminent performance. Compared to traditional vehicles, Airwheel Q5 electric scooter is way more convenient and easier to get proficiently control. What's more, it's eco-friendly and portable and you can carry it everywhere without worrying about it getting lost or stolen. The Airwheel Q5, as an electric self-balance unicycle, is a must have gadget that you can't miss! Next：¿Cómo difiere de otros modelos de la vespa uno auto-equilibrio inteligente Airwheel, S3?